Understated, minimalist and modern; the Ma is a sleek dress watch with a stripped back design philosophy, conveyed beautifully in the uncluttered dial, slim case and uncomplicated strap. 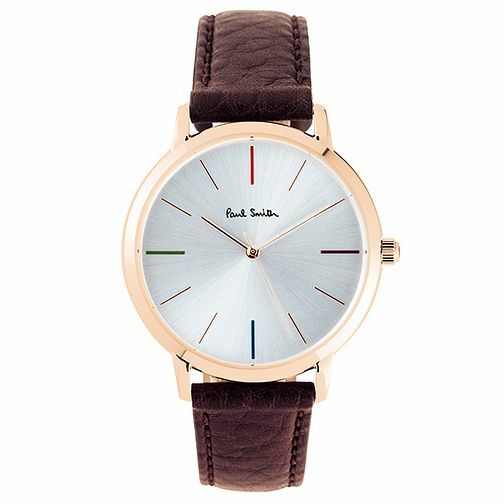 This model is rose gold tone with a brown leather strap. The Paul Smith men's watch collection includes classic timepieces and modernist chronograph wristwatches.